Is Savage XR really free? Is there a registration necessary? No. Savage XR will never ask for your e-mail or personal data. All you have to enter in game are username and password for tracking your game statistics. Accounts will automatically be created. You can as well just skip all that and press "Login" without entering anything. I am getting battered in-game, what can I do to start enjoying Savage XR? 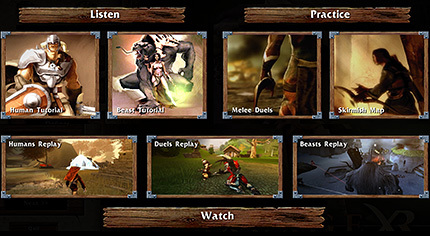 There's an in-game tutorial section featuring a basic human and beast tutorial and a human, beast and duel replay from an experienced player, as well as a duel practice mode with 5 different difficulty levels where you can fight against AI-bots emulating the fighting styles of real players. In the skyrmish practice mode you can test all weapons and units against bots and test the Commanding mode. There is also a large strategy guide in your local Savage XR game folder /help/SavageXR_Guide.pdf or online here. Combat tutorials are available here. The game is crashing or I have unexpected issues. Help? Please visit the Technical Support thread on the newerth forum here. First, search the forum to see if someone has the problem as you. Second, create a new thread only if you can't find a solution. How do I create a Savage XR mod? There is a modding guide in your local Savage XR game folder /help/SavageXR_Modding.pdf. You will also find information about modding in the Newerth Wiki as well as in the modding forum. How do I create a Savage XR map? 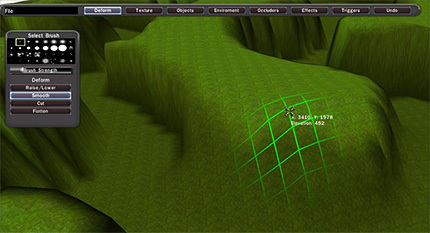 A detailed mapping guide by Aneurysm is available here. Video tutorials are available here. Once you feel ready submitting your map, go through this checklist. Finally upload your map to the Newerth Map Repository where it will get reviewed by a map admin. How to run my own Savage XR server? Server files for Windows and Linux are available here. What each variable does is documented in the XR_admin.cfg. More information can be found in the Newerth Server Forum. How do I create a Savage XR video? HurlyBurly, who runs the official Savage channel on YouTube, has kindly written some instructions to help people make professional looking videos. You can find these instructions on the newerth forum here. How do I use Console Login and Clan Commands in XR 1.0? If you type commands into the chat use "/", when using the console (Alt Gr+^) you don't need to add that. Clients can send applications to join new Clans, which appear in that Clans panel for members to vote. It is also possible to issue invitations directly by using: /clanInvite UID. New features include a "clan shoutbox", and the possibility of uploading "clan banners". Type /cmdlist clan in the console for a full list of commands.